Possum has been really enjoying getting into the kitchen lately and pretending to cook constantly. 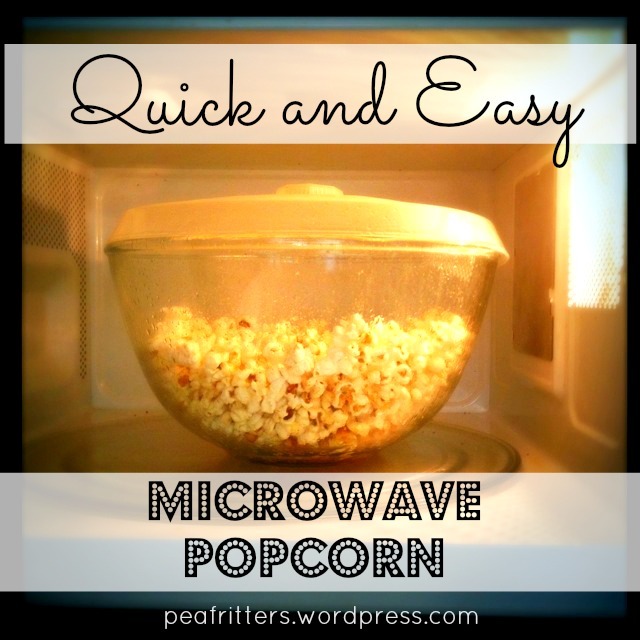 Making microwave popcorn from scratch has been a really fun, simple and easy way to include her in the kitchen as well as make a super tasty and reasonably healthy snack for the two of us to share. Here is how to make it! What movie will you be watching? Our favourites are Madagascar Two (Possum calls it Lion Movie), Ratatouille (Rat Movie) and Rio 2 (Rio Movie). Melt the butter in a large microwave safe bowl (I use my Pyrex mixing bowl) for around 30 seconds in the microwave, making sure you have a cover over the bowl. 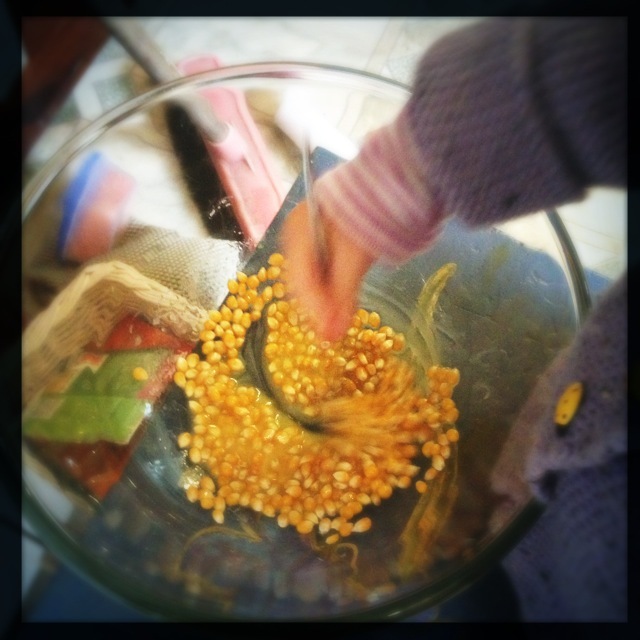 Take bowl out of the microwave, add your salt and popping corn (this is Possum’s job). 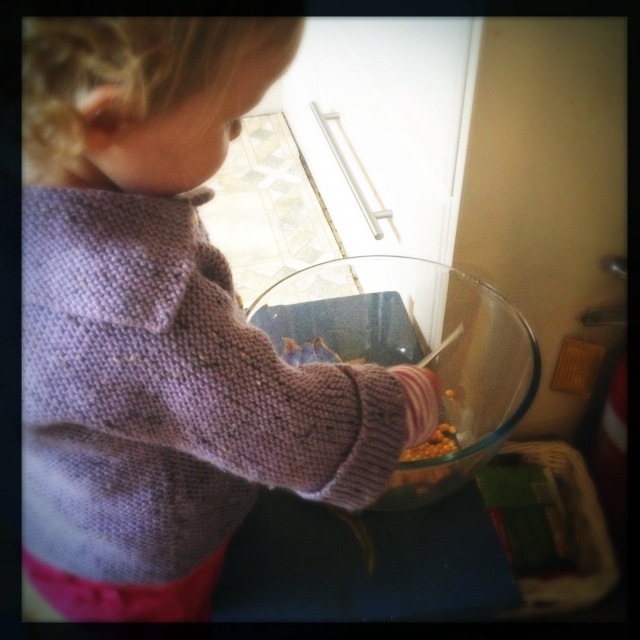 Stir to combine (also Possum’s job). 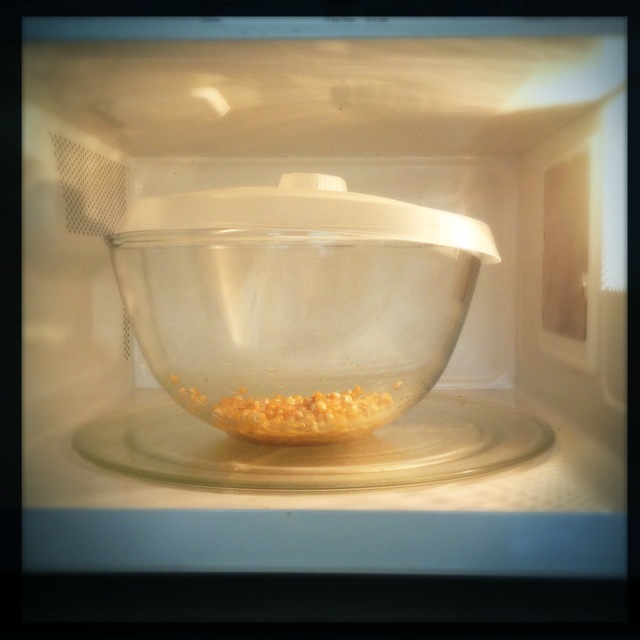 Place bowl and cover in the microwave for 3 minutes 20 seconds for a 1000W microwave. Stay close by to listen for when the pops slow down. 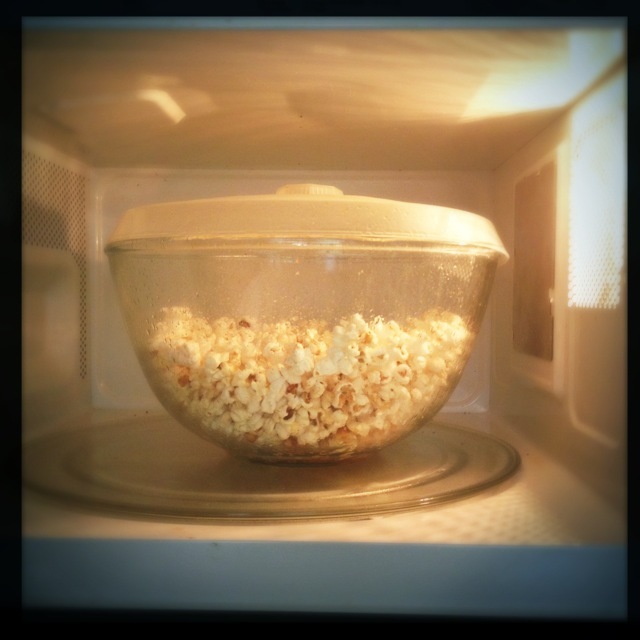 Take your delicious hot bowl of buttery popcorn out of the microwave using oven mitts. Divide among movie watchers or share from one big (but still hot so be careful!) bowl. Yummmmmmmmmmmmmmm!